Connie Choate moved from the Washington, DC area to the wonderful mountains of North Carolina in 2003. As an Air Force brat, she has lived all the over the US and South America. Connie is fluent in Spanish. Now, North Carolina’s loss is our gain here in Brevard County. Connie continues to deliver a quality of service to her clients they will not find anywhere else. She specializes in residential real estate and is especially good with first-time home buyers. 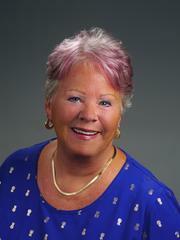 Connie will continue to provide real estate services to those wishing to buy or sell in the greater Asheville area.